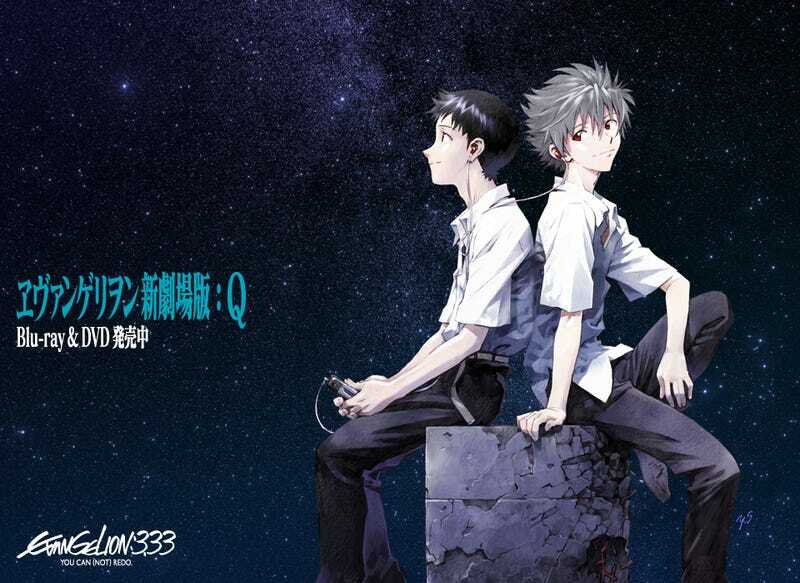 Evangelion: 3.0+1.0 is slated to the fourth and last entry in the Rebuild of Evangelion series. It has been held up, however, by the new Godzilla film. Hideaki Anno is sorry about that. Anno, who created Evangelion, is helming the new Japanese Godzilla film, and thus he had to temporarily put Evangelion: 3.0+1.0 on ice. Continuing, Anno was quoted as saying, “Evangelion can only be described as my soul. It’s a work that chips off parts of me.” It got to the point where nothing was left, and Anno felt trapped while making Evangelion: 3.0 You Can (Not) Redo. He didn’t have a chance to recharge.